Around 9am on February 23, head constable Bhupendra Tomar, 57, and his team had begun their usual day aboard an Uttar Pradesh 100 (quick response) vehicle in Saharanpur. The team was patrolling the Badagaon area in the district when it received a call saying there was a man lying on the road who had been stabbed multiple times by an assailant. As the team headed towards the spot, Bhupendra received another call. This time it was from home. His 27-year-old daughter Jyoti, a nurse who had married only a year ago, had died suddenly. Though taken aback and in shock, Bhupendra knew what he had to do. Despite the rest of his team insisting that he head home, Bhupendra told them not to turn the car around. He said he had to save the dying man first. Holding back his tears, the cop reached the critically injured man, admitted him to a multi-specialty hospital and only then went home. The victim, a veterinarian, was saved. And he lived to thank Bhupendra for it. “Leave the dead behind and save those alive is the credo that I follow. I don’t think I have done anything exceptional,” said Bhupendra, a Bijnor resident, his voice still choking with grief. Jyoti worked at a primary health centre in Buxar locality of Meerut and had married 28-year-old Saurabh Kakraan only last year. Her death — she suddenly collapsed in the washroom and died — has left the family in deep shock. “I got a call saying Jyoti had died. But we were already onour way to the site of the attack at Sirsiri village on Rampur Maniharan-Badagaon road,” Bhupendra said, recounting that fateful day. “I knew I had to save the injured man.” His exemplary response to duty has attracted the attention of senior police officers across the state. 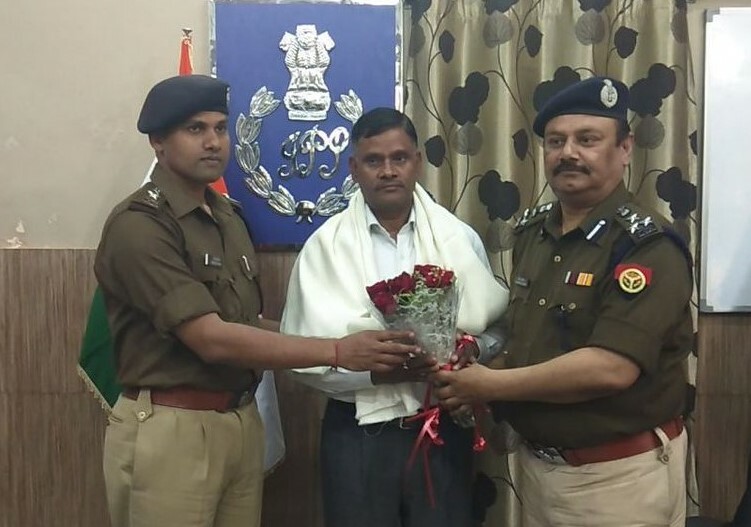 Director general of police, O P Singh, called Bhupendra recently and extended all possible help to the aggrieved family.